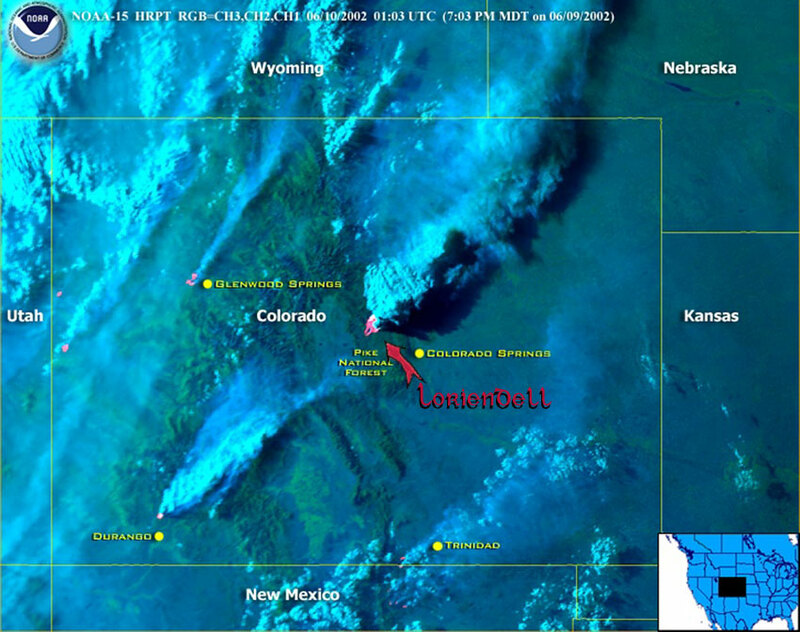 Heat signatures (red) and smoke plumes (light blue) are visible from fires burning in Colorado and New Mexico. At this date (9 June 02), the Hayman Fire had burned 19,700 acres and was 10% contained. It burned out-of-control for another ten days. On the evening of June 19th, after many residents of Woodland Park had prepared to evacuate, it suddenly lost momentum. When the fire finally died, it had consumed 138,000 acres, the largest fire in Colorado's history. 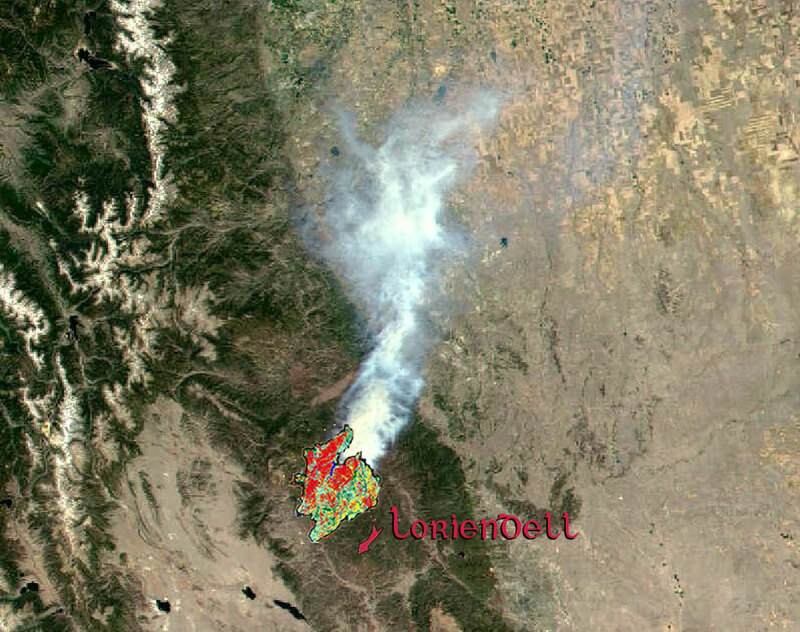 (Overlay on image below shows final extent of fire. Colors show variance in the fire's intensity within the burn).